This site is here for you to become more aware of your well being, health and education in general. If you are wondering about the terminology of ‘Wellbeing’ and how it affects you or yours, then you will find loads of useful nuggets of information right here. If you’re suffering from a health complaint, be it physical, emotional or even mental, then you’re in the right place. On this site there is a lot of information about healthy living, as long as you feel the need to become more informed by new and existing information that is continually becoming available. If you’re reading this and come with an educational mindset, then you won’t be disappointed either. All the information and the contents have been put together following evidence-based approaches in order to make sure that you are properly educated and enlightened. Conor wrote a chapter on Friendship in Modern Times in the book Mental Health for Millennials volume 1. The book was so popular that it has now been turned into a series of books. 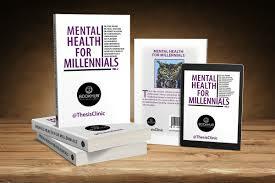 The second volume of the Mental Health for Millennials series was released in October 2018 and in it Conor wrote a chapter entitled Selfies and Selflessness which dealt with millennials’ fondness for taking selfies and in it he questioned if they are as selfless as older generations! 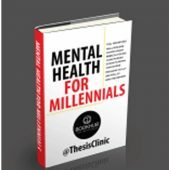 The first book that Conor was involved in entitled Mental Health for Millennials is targeted at those from the milllennials age group. The General Data Protection Regulation (GDPR) is a new EU Regulation, related to protection of personal data which came into effect on 25th of May 2018. The aim of GDPR is to protect the rights of EU citizens to their data privacy and to ensure and accountability, transparency and security by data controllers and processors. It gives every EU citizen the legal right to know what, where, why and when their data is being used as well as their right 'to be erased or forgotten’. · Obtain and process information fairly. · The data must be kept for a specified, lawful purpose. · The data should be used and disclosed only for the specified purpose. · The data must be kept safe and secure. · The data must be up to date, accurate and complete. · The data must be relevant, adequate but not excessive. · The date must be retained for no longer than is necessary. · A copy of the data must be made available to the data subject, on request. How Does GDPR Affect a DocConor.com Customer or Subscriber? · DocConor.com continually reviews all personal data, existing privacy policies and alters and/ updates processes as required according to law. · DocConor.com has a specific procedure that will respond to data subject requests for access, recification, objection, restriction, portability, and deletion (right to be forgotten). · DocConor.com implements appropriate security processes and measures to respond to any security breaches. · DocConor.com ensures a record is stored for all necessary data, consent forms, privacy policies and procedures, training materials, and data transfer agreements.